The label serves as an “ID card” – a complete profile of the wine. It bears obligatory information such as the Appellation d’Origine Contrôlée, the country of origin and the alcohol content. Other information is optional, such as the name of the estate or the grape variety. « Appellation d'Origine Contrôlée ». Volume of wine in the bottle. In Bordeaux, as in other wine regions, each bottle size has its own name. The bigger the size, the longer it must be stored and the more festive the consumption! Wine needs oxygen to be able to release its aromas, and oxygen is a wine’s best friend...or worst enemy! Upon contact with air, wine passes chronologically from the “closed” stage to the “aerated” stage and, lastly, to “oxidized”. 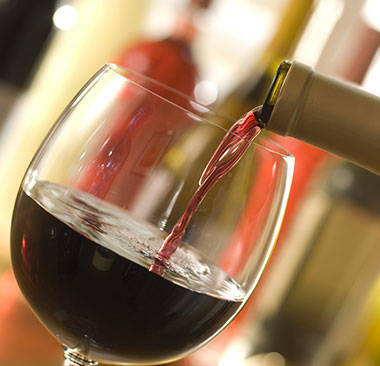 To reach the “aerated” stage that is best for consuming wine, you must have a suitable carafe. 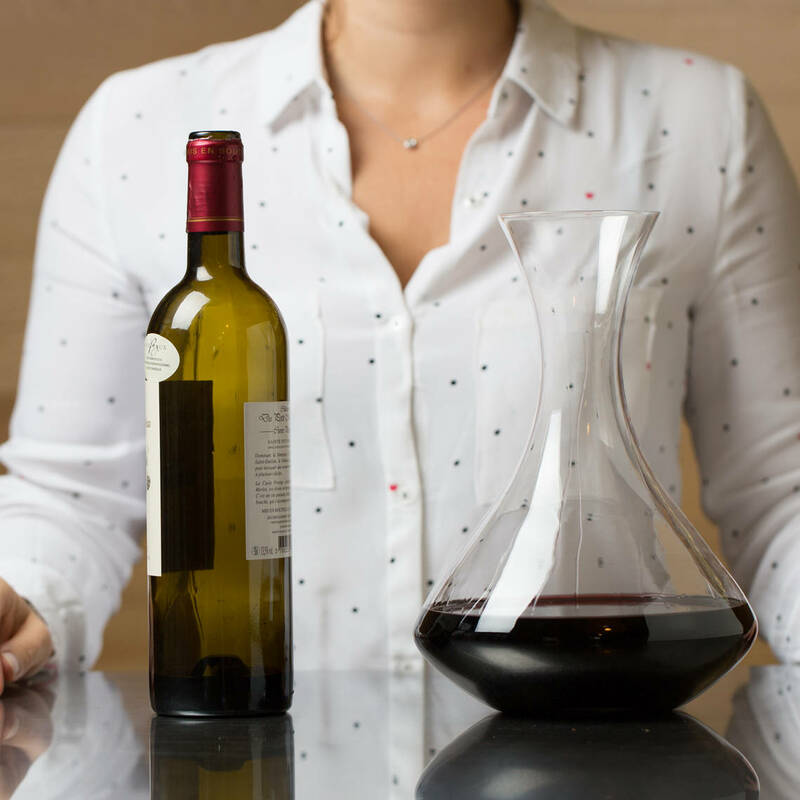 The carafe should be flared to give the wine a greater surface area to come in contact with the air, which encourages aeration (or “breathing”) and intensifies its aromatic expression. 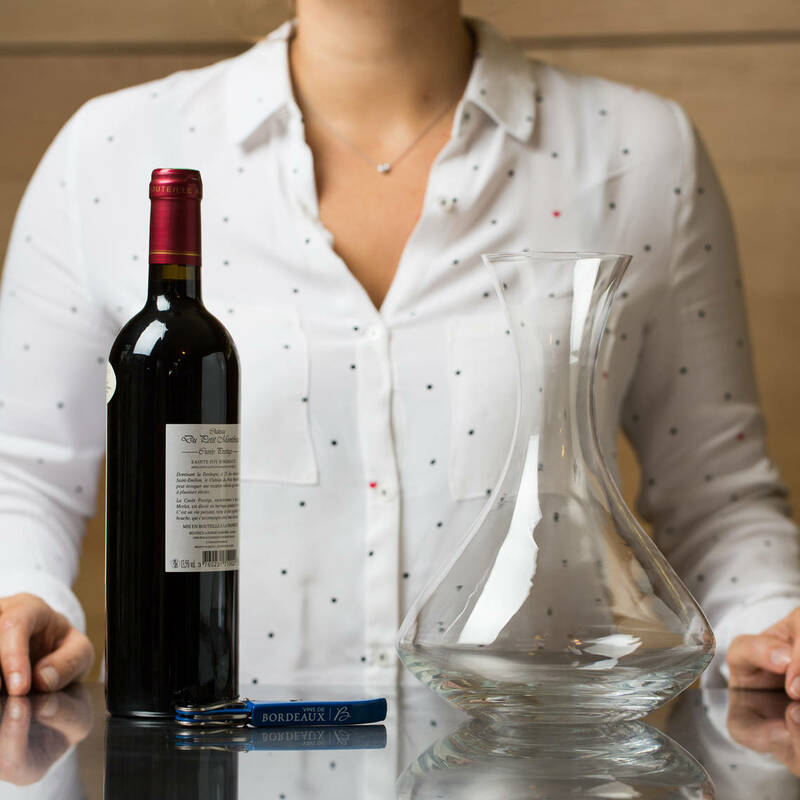 The carafe should be narrower to reduce the wine’s surface area for more delicate aeration (decanting). A delicate, careful technique is needed to ensure a wine is at its peak when consumed. And anyone can achieve this as long as certain practices are respected. Decanting and carafing are more or less the same thing. Not at all! Carafing is done with young wines and is based on the principle of oxygenation to release the wine’s aromas and complexity. 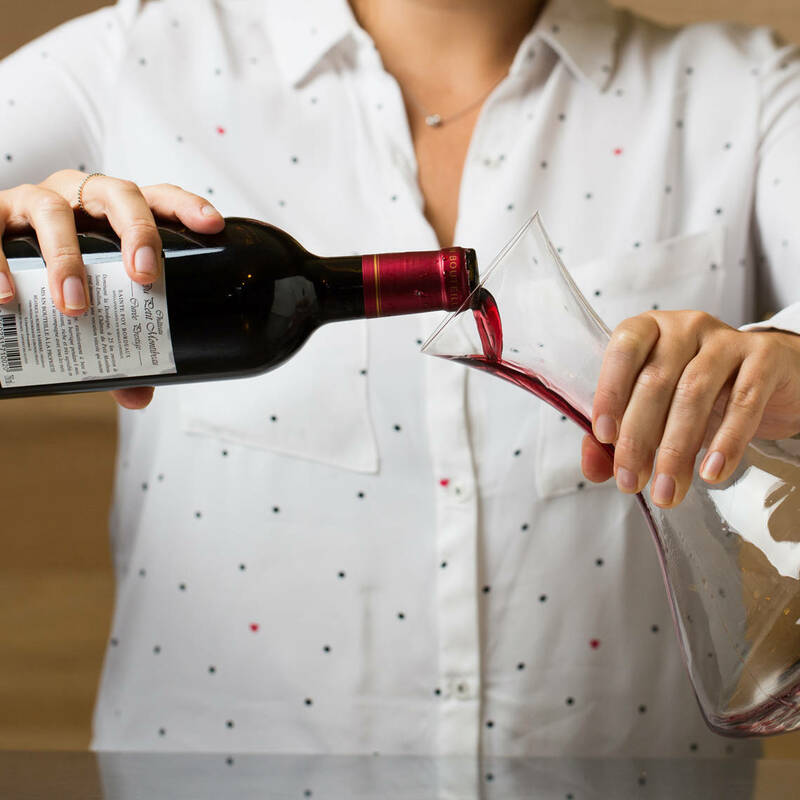 Decanting applies to older wines to remove the deposits that have condensed at the bottom of the bottle over time. Yes, it does! Carafing, the act of putting wine in a carafe, is a technique designed for young wines, generally seven years old or less. 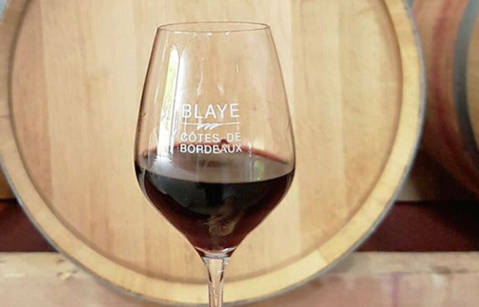 If a young red wine is consumed immediately after opening, it will have a tannic character that can be disagreeable and the aromas will not have found full expression – this is known as a wine’s being “closed”. Oxygenation lets the wine express itself fully, with silkier tannins and fuller aromas. Not true! Certain prestigious white wines, from Pessac-Léognan or Sauternes, for example, also do well with aeration. Though this might be true to some degree, the overall guideline is simple: the more tannic the wine, the more time it needs in a carafe to fully express its character. An aeration period of 30-45 minutes is generally enough to allow the full complexity to unfold. Not at all! Quite the opposite, in fact: they are the natural evidence of the time the wine has spent in in the bottle. These deposits vary in shape and density depending on the wine type, cru and vintage. The deposits need to be separated from the wine by gently transferring the wine into a decanting carafe. It does require great delicacy. An old wine has a marvelous, but very fragile, balance, which can be destroyed in a few seconds by the wine coming into abrupt contact with the air. Before decanting, remember to taste the wine to see if it can undergo such an operation without adverse impact. Leave the bottle standing for 1 hour at room temperature and make sure your carafe is nice and clean. Uncork the bottle without shaking it. Take the carafe in one hand and the bottle in the other. Delicately pour the wine so that it slides along the sides of the carafe. Toward the end of the transfer: place the shoulder of the bottle above the light source to assess the advancement of the deposits. Have they reached the bottleneck? 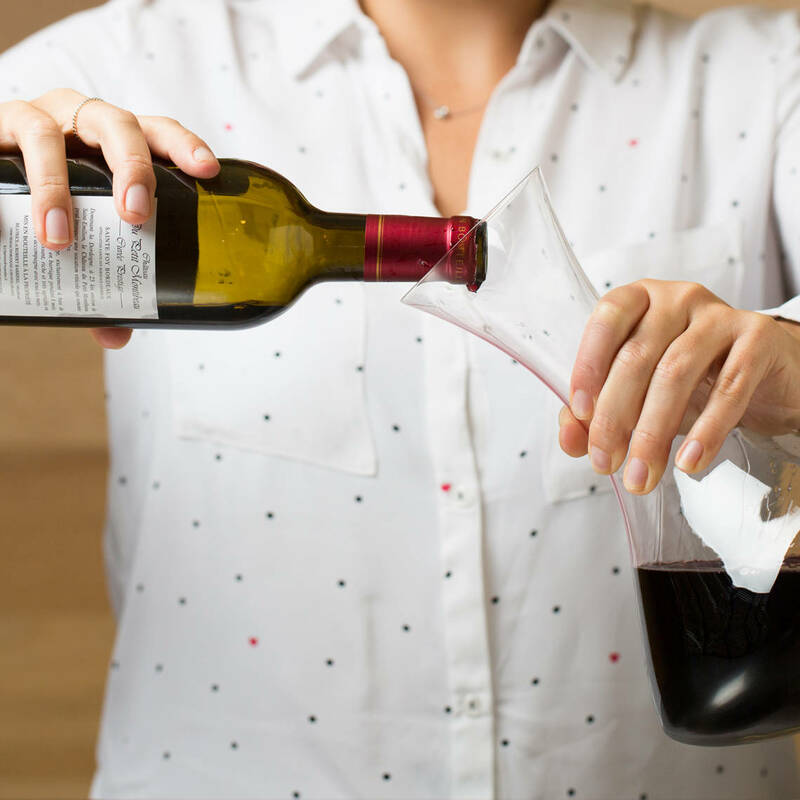 Raise the bottle in a swift movement to keep the deposits from being poured into the carafe. The diversity of Bordeaux wines lends itself naturally to entertaining, and there are glasses to bring the best out of every vintage! Whether it is a refreshing, young, or tannic wine, here are some useful tips to help a wine express its many qualities. Red wines are much richer in phenolic compounds (or polyphenols) than white wines. So it is important to balance these two forces, the tannins and the alcohol, in the glass. Some glasses limit the strength of tannins, others the sensation of alcohol. To avoid heating the wine with your hand. 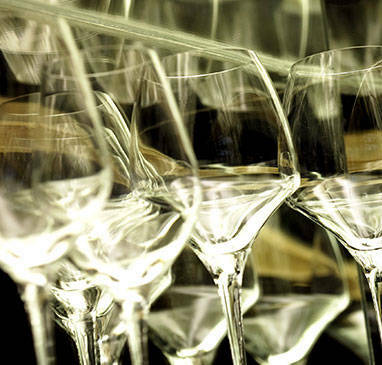 Fill the bowl of the glass to one third its height for maximum aeration surface, which will be about 12 cl of wine. This is the traditional “INAO” tasting glass. Wider toward the bowl’s bottom, narrower at the top, this shape is impeccably designed to let the glass play its dual role: allow the aromas to develop in the glass, then concentrate them towards the nose. Your best bet! THE BORDEAUX GLASS, OF COURSE! 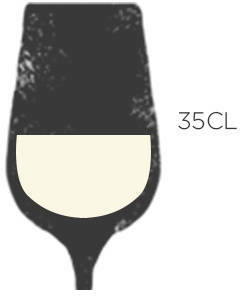 Tall with a broad bowl, allowing the wine to flow directly to the base of the tongue (back of the mouth, with greater capacity for sensing acidity). This prevents tannins from spreading and drying out the mouth. The desired effect is a powerful nose and precision on the palate. 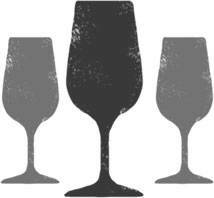 DOES EACH WINE TYPE HAVE ITS OWN GLASS? Today’s professional glassmakers create dedicated models for a particular grape variety or a very specific wine, like glasses made for whisky, which will decrease the perception of alcohol vapors and augment aromatic complexity. To each his own: have a diverse collection, choose a versatile glass for practical reasons, stay with the classics – it’s your choice! Crystal glasses have greater brilliance than other glasses, but are often more expensive, fragile, and harder to come by! Most brands choose Kwarx or Tritan, which are resistant and transparent. While a glass’ delicacy may bring out some qualities in the wine, it also means it is very fragile! 35 IS THE MAGIC NUMBER! This is the ideal capacity for a wine glass, a volume perfectly suited the great red wines while richer, sweeter wines achieve better balance in smaller glasses. They all have the same initial function: providing a hermetic seal for the bottle. But wine must also be able to breathe a bit to start its aging process (the oxidoreduction phenomenon). A little air, but not too much! The long-favored cork stopper provides the guarantees needed, alongside other alternatives, such as aluminum and plastic. In short, beginning in the first century BC, the traditional cork appeared, with its famous opening “pop” sound that everyone knows! Connoisseurs hasten to sniff it to check a wine’s quality. In France, eight out of 10 bottles are stopped with cork. Advantages: Cork is natural, as the stoppers are cut directly from slabs of cork taken from the cork tree. The substance’s permeability lets the wine “breathe”, which guarantees proper aging with time. Drawback: Cork taint, the infamous corky taste that comes from a molecule, affecting about 5%-8% of the bottles sold on the French market (Trichloroanisole or TCA in 70% of cases; Source: Institut Français de la Vigne et du Vin). For which wines? Cork is preferred for aging wines. But there are agglomerated stoppers made with offcuts and scraps of natural cork stoppers stuck together. These stoppers are most often used for wines meant to be consumed young. In short, what were the two reasons it was invented? To reduce costs and to solve the problem of cork taint. They are relatively widespread in hypermarkets, supermarkets and some wine shops. Advantages: Being made of polymers (plastics) coated with a thin plastic skin, with carbon dioxide at the core, the risk of any corky taste disappears. Drawback: These stoppers are not suited for use with wines to be aged, because, in the long run, they do not allow gas exchange, nor a perfect seal..
For which wines? An ideal stopper for wines to be consumed in the year following their purchase. In short, it was invented in France in 1968, is made from aluminum, and makes a cracking sound when opened. Advantages: There are many. There is no cork taint, quality remains constant, and it provides an airtight seal. Plus, gas exchange can be adapted based on the wine type. Easy to use, no problem in opening, no need for a corkscrew. Drawback: The screw cap is becoming more popular mainly in the Anglo-Saxon and northern European countries, as the French market has long preferred cork. This cap diminishes the emotional symbolism of opening the bottle. For which wines? While the capsule is often used for fruity wines having aromas sensitive to oxidation, some Bordeaux wines are turning to this stopper style. This stopper is very widespread in New World wines from places like New Zealand, Australia and Chile. In short, being aesthetically pleasing, this stopper is an original alternative worth considering for several reasons. Advantages: Glass stoppers are both elegant and easy to use and are perfectly hermetic The bottle opens without a corkscrew and without force. The stopper can then be put back in place – with the same airtightness! What’s more, glass does not in any way alter the wine’s taste and gives the bottle solid technical quality. This type of stopper can also be designed to work with overcaps. Drawback: The glass stopper’s real potential in storing and aging wines has not yet been fully demonstrated, with only a decade of data to work with. For which wines? 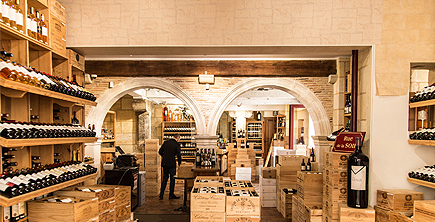 Using glass could be a chance to create added value for some wines, conveying a high-end identity, with consumers seeing it as a luxury plus when making purchase decisions.